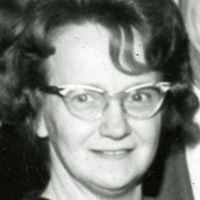 Anne Holkeboer served on Gerald R. Ford’s staff from 1963 until 1977. Holkeboer was interviewed for the Gerald R. Ford Oral History Project on August 8, 2008 by Richard Norton Smith. Smith: First of all, thank you very much for doing this. Holkeboer: This was a surprise to me to be interviewed after thirty years. I can’t remember that much. Smith: You might be surprised what you remember. Holkeboer: Yes, things come back to you, I guess. It used to be that once I started I couldn’t quit. But now – that’s many years ago. Smith: We’ll test that theory. First of all, when did you go to work for Congressman Ford? Holkeboer: I started in 1963 until 1977, I worked thirteen years. Smith: And you were located where? Holkeboer: First we were located in the Cannon Building, and we were ready to move to the Rayburn Building. He was made Minority Leader, and he was Minority Leader for many years. I’d have to review that, I can’t remember how many. Then he became Vice President, then he became President. So I worked with him through all those years. Smith: What were you doing before 1963? Holkeboer: I was a school teacher. Smith: A school teacher where? Holkeboer: Kalamazoo and then Grand Rapids. In school teaching they always ask you in March, are you going to come back? Now that’s the only job that does that. Are you going to come back? And every time you say, “Do I want to?” And so another girl and I decided to go Washington, D.C. No job, no place to stay – nothing. Just our cars full of clothes and we went to Washington, D.C. We found a furnished apartment and she found a job, and I finally found a job. I had a hard time finding one because everybody wanted me to teach school. In September, there are many Jewish holidays, so they thought I should substitute. They didn’t want to hire a teacher. But finally I found a job, and during that time Frank Meyer, who was Mr. Ford’s assistant, administrative assistant, went to the same church I did and one time I said to him, “If Mr. Ford ever needs another person, let me know ‘cause I can sharpen pencils.” He called me and asked if I were interested, and then I started. This was right after Kennedy was shot and the Warren Commission. Mr. Ford was put on the Warren Commission and he needed more help in the office. Smith: Did you have a job interview? Holkeboer: With Mr. Ford? Yes. It was very fast. Smith: Had you met him before? Holkeboer: Well, only by pictures in the paper. Because I was from Grand Rapids and I saw his picture. But I had never met him personally. It was very early because he had a lot of appointments that day, and I think it was like seven or eight o’clock in the morning. I found a parking place, which was illegal, but I didn’t know that. He just said – well, I can’t really remember all the words he said, he said something like, “When can you start?” and “Even if you have a headache, you have to be nice.” I remember that. So I was a receptionist for many years, but I never had a headache. Smith: His office was in the Cannon Building.? Smith: Can you describe the office? Holkeboer: You walked in, it was only two rooms. This was way back in ’63. It was only two rooms and there were five of us in one room, with a really tiny kitchenette. Really, it wasn’t even that. His room was a nice size and he had a nice closet, but we were all in this one room and we were ready to move to the Rayburn Building, which was really going to be a treat for us because we’d have more room. When he became Minority Leader we moved to the Capitol and we had lots of room, but we had to hire more people. Smith: But see, that’s interesting, because in 1963 he’d been in Washington at that point for fourteen or fifteen years. Holkeboer: Yes, that could be. Smith: And he had risen in the Republican hierarchy and yet, you said he still only had two rooms. Holkeboer: He only had two rooms. Well, everybody had two rooms, because the Rayburn Building was just built, and when you got the office, you stayed there. After a while, once they let him in the Rayburn Building, he had his pick because he had been there so long. So he could pick a nice office. Also that’s all done by numbers. I can’t recall how it’s all done, but if you come that year, then you draw a number and then you have a choice. Smith: With seniority factored in there somewhere. Holkeboer: Something like that, yes. Smith: Tell me again, you said there were five. Who were the five? What were their functions? Holkeboer: There was Mildred Leonard, who has passed away. Frank Meyer has passed away. Smith: What was Mildred Leonard’s role? Holkeboer: She was the executive secretary, or his personal secretary. Then there was Jim Bersie. Smith: What was his function? Holkeboer: Well, I really can’t describe everybody’s function because we all worked together. So if one had a job to do, we’d all work at it. I really can’t describe everybody’s job. I do know that Ruth Kilmer – Frank Meyer dictated to her every afternoon and she typed the letters the next day. Smith: Was there a lot of constituent mail? Smith: I assume it was very important to answer constituent mail? Holkeboer: Oh, yes. He answered every one of them. Then he, himself, signed them. No machine at all. He signed his mail. Who beside Jim Bersie and myself? Like I say, giving us each a job – except Ruth, she was the secretary because she took the dictation. What Jim and I did, I don’t know. Every day just flew – I don’t know what we did. Smith: In addition to constituent mail, there must have been constituent services. People from the district must have wanted things. Holkeboer: We had somebody in Grand Rapids. You know, I don’t know who they were. I can’t remember. Elaine somebody, Gordon Vander Till. Elaine handled that office alone for quite some time. Then when it was election time, one of us or two of us, would come to Grand Rapids to help her. I did that a couple of times and I loved it. Smith: What did you like about that? Holkeboer: I don’t know, I guess just being back home for a little while. He would have these town meetings and I would go along with him, try to get there before he did and lay out all the paperwork or whatever he wanted. Then the people would come in to see him. They really didn’t have appointments, they just knew he was going to be there. As soon as our time was up he would get in his car and I’d have to first gather all that material and take it to the next spot. I don’t know, it was kind of challenging, kind of adventuresome. It was different than being in the office in Washington. Smith: Did people come looking for things? People who wanted favors, wanted help from the government? Holkeboer: Oh yes, people wanted everything. People thought that they could get everything from their Congressman. I often said to people, “Don’t go to a lawyer, go to your Congressman. He’ll help you,” because they asked for everything. I can’t remember the things they asked for, but I was sometimes just amazed what they asked for. And so, since then, I’ll have to admit, I’ve been a little bolder about things, too. Smith: You never really had a tough reelection campaign. He was from a reasonably safe district. Holkeboer: No. He never did, but he worked hard to let the people know he was there for them. No, I don’t think he ever had a hard election. Smith: The story is that he tried to get home as often as he could. Holkeboer: Yes he did, almost every weekend. Of course, Betty didn’t like that too well. So one time he decided to stay home that weekend. The kids all had plans, so there he was, the kids were gone. So he says, “I stayed home and the kids all had their own activities.” It was kind of funny. No, he got back here as much as he could, and as often as he could. Smith: Did you get to know Mrs. Ford? Smith: Tell me about that. Holkeboer: Maybe it was Steve’s. One of the little kids liked animals and she found a snake in the bedroom. She was very upset. Smith: Politics is a lot of snakes in the grass, but not usually snakes in the bedroom. Holkeboer: This is a REAL snake. I don’t know what she did after that but we tried to calm her down. She’d come to the office often, all dressed up to go to an event in the evening because they always went out at night to something. Smith: She liked clothes, didn’t she? Holkeboer: Oh, she loved clothes. Oh, yes. And she went to somebody named – she went to a special shop, but I can’t think of the name of it. Frankie’s? I can’t think of the name of it. She loved clothes and she always looked nice, very nice. Holkeboer: He wasn’t that clothes conscious, I don’t think. But she was. But of course he left home before she got out of bed, because he was at work at seven or eight in the morning. He was there early and stayed late. We had somebody in the staff come in about ten or eleven and leave at seven or eight so that there would be somebody there when he was still there. Smith: I take it most weekends he would travel? Holkeboer: Most weekends. I would say most weekends. Yes. There was a time, and this time was before me, I think, that the Congress got out in June and didn’t go back in again until January, but I’m not quite sure of the facts. The whole family would move back here, kids and all. They had a house. The first part of the school year the kids were here, the second part they were in Alexandria. But after awhile they found out that wasn’t too good for the kids. So then they just didn’t come here again. And Congress didn’t get out until August and started right away in September, so it doesn’t have that long recess it used to. But that was before my time. Smith: After the Kennedy assassination, the Warren Commission must have consumed a fair amount of his time. Smith: How much of a factor was that in your daily existence? Did he have any extra help because of that? Holkeboer: No, but the whole committee had help. The help was within the committee. They had their own help, but thinking back – see, I was hired right around that time, so it was a whole new thing to me. And if we didn’t see him, I wasn’t too aware of it because there was so much to do and so much to learn. Smith: Did he talk about it at all? Holkeboer: No, not very much. No, not to me. He might have talked to his AA, administrative assistant, but not to me, no. Smith: There is this legend out there that LBJ said awful things. It is interesting, if you do the math, he asked Ford to be on the Warren Commission long before Ford was Minority Leader, when he was just another Republican Congressman from Michigan. There had to be something that Johnson saw in him. Holkeboer: He knew he was an intelligent man and I think he wished that he was a Democrat instead of a Republican. Smith: Did you ever see them together? Holkeboer: No. One time the President called, so I said to Mr. Ford, “The President is on the phone,” and all of us were kind of shocked. What’s a president calling Mr. Ford for? I never did find out, because that’s all their business and not mine. Secret business. We were all kind of shocked that Johnson called Mr. Ford. Smith: Now I assume that began to change. In ’64 we had the Goldwater disaster and that’s really what set up the whole race for Minority Leader against Charlie Halleck. Holkeboer: Yes, that’s right. But he only won by a few points, a few votes. Smith: What was the view of Halleck? Holkeboer: I don’t know because I just came at that time. All I can remember is he was an older man; I don’t how old he really was; he was not doing his work like he should. But I don’t know. Smith: Almost a generational thing, as much as anything. Holkeboer: I think so. I think he was getting tired and worn out. But I don’t know because that’s when I came. Smith: Do you remember when Ford, he obviously had to let you all know, that he was going to run for this? Holkeboer: Yes, we were all excited and when he won we were all excited. But, what do you do? Jump for joy! But we also knew that it was going to be more work and more of a burden. It was a busy life. Smith: He also took a risk, because if he lost, let’s face it, the guy he ran against probably wouldn’t forget it. Holkeboer: No, he wouldn’t. Yes, you don’t think of those things, do you? I think I’m going to win! Smith: Do you think he was an ambitious man? Holkeboer: Oh yes. Yes, he wanted to be Speaker of the House. That was his one job – that’s a job he wanted, but he never got it. But he got to be President. But he always wanted to be Speaker. Smith: How did things change once you moved into the Minority Leader’s office – where was it? Holkeboer: It was bigger. It was in the Capitol, in the corner and we had one room for the reception and Mildred and Frank and I were in that room next to his. In the back there was Dorothy and Charlene and Ruth and Jim and Jo Wilson, and then in another room was Paul Miltich, because he was the Press Secretary, he wanted a room of his own. And then in another room was George, George something. He opened the mail, and just took care of a lot of things for us. Smith: Did he still sign every letter. Holkeboer: He always signed the letters. Because he had a limousine he signed them to and from work, from home. Yes, he signed them. In the limousine he was busy signing letters. Yes, he always signed his own letters. Until he became President, then I don’t think he did anymore. Smith: And of course there was the famous Ev and Jerry Show. Everett Dirksen. Holkeboer: Yes, Everett Dirksen. But that was always on the Senate side. We just had to help Mr. Ford gather material so he would have it for it – but I never saw it because that was during working hours that he was doing it. And it was on the Senate side. Smith: I guess I didn’t realize that it was exclusively on the Senate side. Smith: He was a bit of a character, wasn’t he? Smith: Let me ask you something, and I’m not looking for names, I’m just trying to get a sense of the House culture of those days and maybe a little bit of the contrast that Jerry Ford represented. You hear stories about a lot of drinking that went on, and there was a certain amount of skirt chasing that went on. A lot of things that didn’t get reported, and he clearly stood apart from that culture, and yet he was able to get along with them all. Holkeboer: He got along with everybody. Betty told us when she married she knew she never had to worry about another woman. The only thing she had to worry about was that he was a workaholic – and that he would work too much. That was true. He worked all the time. But, no, I worked for Mr. Ford and then after I lost that job, I worked for Jim Leach, and I was really blessed by working with two great men. Both of them were good men, and honest men, and fair. And thoughtful, both of them. I don’t know how I was so blessed to work with two good men. I don’t think I could stand it if I worked with a Congressman who ran around. Smith: Were there Congressmen who ran around? Holkeboer: Sure there were. We knew it, and the secretaries – you know, they played the field, some of them. They dressed up, they were gorgeous, you know. What can you do? Smith: And a lot of drinking? Holkeboer: I think there was, but not Mr. Ford. If he had one drink, maybe two, I think that would take him all evening. Only because he knew he shouldn’t have more. No, no, I never thought Mr. Ford, shall we say, drank too much, never. Holkeboer: Yes, he was killed in an airplane accident. We never heard…they never found them, did they? They never found them. Smith: And then there was Tip O’Neill. Smith: Now that clearly was a very special relationship. Holkeboer: Yes it was. He got along real well with Tip O’Neill, but you know, I never saw the two together, but maybe they were together in the House. I never really saw them together, but I knew they got along real well. Smith: Can you explain, because I think people, in today’s political culture, would find it hard to believe that there was a time when people could be very partisan, and very loyal to their party, and go hammer and tongs all day long, and after dinner adjourn and become friends. Holkeboer: Yes, I don’t know, I can’t explain that either. I think it is the character of the person, their self. Mr. Ford was one that always wanted to stay friends, didn’t want arguments and after something was done where they had big disagreements, he would come and shake the person’s hand and discuss it with him. But he never was one to hold a grudge, never was one to say, “I’m never talking to you again.” But lot of these things happened on the floor of the House and you don’t see that in the office. Smith: And of course there was no television in those days. Holkeboer: No there wasn’t. Sometimes those were the good old days. Smith: I want your opinion – I wonder what television has done to the Congress. Holkeboer: Well, I really don’t know. I think it is good to have. They may have it so that you can see what is happening on the floor. You really don’t have to go to the floor until it is time to vote. Which, I don’t know if that’s good or bad. I don’t know. Smith: One also senses that in those days, before all the Watergate reforms, people were more loyal to their party. There was more party identification. The seniority system was stronger, there was handful of old bulls who called the shots. Holkeboer: Yes, I think so. Mr. Ford had three or four real strong friends. Smith: Who were some of his friends? Holkeboer: All I can think of was Arends, Les Arends. That’s the only one I can think of. Do you know some of them? Smith: Les Arends was from Illinois. Holkeboer: Oh, Mel Laird, of course. Yes. Anyone else? You know them better than I do. As soon as you say the name, I say yes. Mel Laird became Secretary of Defense, I think, when Mr. Ford was president. Smith: There was Don Rumsfeld. Holkeboer: Yes, he was another good friend. And so was Cheney. Holkeboer: Bob Dole, yes, but he’s on the Senate side again. We got to know Mel and Rumsfeld and Cheney quite well and, all I can say is, they are changed people. They’ve changed. Smith: Did he have any enemies? Holkeboer: If so, we didn’t know about it. There might be people who disliked him, but as far as an enemy is concerned, I don’t think so. I don’t think he gave people a chance to be an enemy. Smith: When the Warren Commission came out with its report, almost from the beginning, there were people who doubted it. What was his reaction to all that? Was there a lot of mail, for example? Holkeboer: As I said, I just started when he was chosen for the Warren Commission. I just started, so everything was so new to me, everything he did or said was, “huh?” like that. If I had been there for a few years maybe I could answer that question a little better. Because right after he became Minority Leader we had to move and then he was on the Warren Commission, and he was gone all the time. You know, I don’t know where they met. I really don’t. He had the full text, I know, in his bookcase there, right in our room. And we each got a book, signed by him about the Warren Commission. I still have it. I still have things he gave me. They are very valuable to me. Smith: What was he like as a boss? Holkeboer: Oh, I think he was wonderful. But, you know, look at it this way, the AA is really the boss, is really the one who tells everyone what to do, and if they’ve done a good job. Then Mr. Ford would tell us, you’re good, or glad to have you here, or you did a good job. On the whole, it was Frank Meyer who was our boss. The AA is the boss. But Mr. Ford knows what goes on because the AA tells him all about it. Smith: Tell us about Frank Meyer – what was he like, how did he do his job? Holkeboer: He was another workaholic. They met in Grand Haven. He was a school teacher there, and Mr. Ford brought him in. He was my boss as soon as I came, Mr. Meyer was. Like I say, he was a workaholic, he expected you to get your work done. But he was very nice about it, and very helpful. What more do you say? You know yourself you had to get your work done. If you didn’t get it done today, there would be more tomorrow. Smith: With all of these increasing demands on his time, it must have been harder for people to just walk in off the street to see him. Holkeboer: Yes, they very seldom did. Once he became Minority Leader he wasn’t in the office that much. We saw them, we made them as comfortable as we could, showed them the office. In fact, I took pictures of people in Mr. Ford’s chair. They thought that was the berries. We showed them the Prayer Room and little things like that and that helped a lot. Showed them our offices, but he very seldom saw constituents that walked in, because he was always at committee meetings or on the floor or somewhere. Smith: Now, Mrs. Ford, I know at some point, maybe it was earlier, but she would take constituents on trips to Mt. Vernon and that sort of thing. Holkeboer: No, she didn’t do that when I – I don’t think she was too well when I was working there. And I’m not sure if it was her back – she wasn’t too well. In those days you could help out and I sometimes took the kids to get haircuts or to get this or to do that, because she couldn’t drive. I think it was her back. I’m not too sure it was her back. Holkeboer: Oh, yes, yes, yes. Holkeboer: Yes, we do, because they would take all the things off the top of our desk and hide them, or exchange names, we had name plates, so my name might be in somebody else’s desk and all the little items that you just kind of keep on your desk – they were gone. So we got quite used to putting the things in our drawers, so the kids couldn’t exchange them. Mr. Ford would come in on Monday and say, “I had Susan and Steve with me here on Saturday,” and go right into his office. He knew that they had been up to something. But it didn’t take us long, but the kids would come and they kind of liked fussing at everybody’s desk. Smith: Was he good with the kids? Holkeboer: Yes, he was good, very helpful and very patient. And the kids loved him. Smith: Now tell us the story that we’ve heard about the bribe. Holkeboer: Winter, Winter, what was his name? Holkeboer: Winter Berger, oh yes. Smith: His name would surface later on. Holkeboer: I don’t know, I think he came from New York. He was recommended by somebody who was a good friend of Mr. Ford, so we had no idea that this man was going to do what he did. He had an appointment with Mr. Ford. I can see him sitting on the couch. Smith: What did he look like? Holkeboer: Short, kind of dark hair, and long face. He was short. Then he came again and he gave all of us girls something. I have a little compact, but I’m not the one that had to go to the hearings of Mr. Ford to become Vice President. Esther Dukov was that, and he had said that he gave Esther Dukov a billfold with a hundred dollars or something in it. I don’t remember the amount. So she had to go to the hearing and swear that there was no money in her billfold. I know he gave me a compact, I wonder what I was supposed to do with that. I don’t know whether I still have it or not. Then he disappeared. Smith: The bribe story, what happened? He went in to see the Congressman? Holkeboer: I don’t know. I don’t quite know the story about it. Smith: The way Maury Dejonge reconstructed it, this guy came in and basically tried to bribe him. It took 15 seconds for him to tell him to get out of his office and never show his face again. Holkeboer: That must have been the second visit, because this opportunity to give us a gift was another time. It wasn’t the first. So he must have come again. Then it came up again when he was sworn in as Vice President. Then Winter Berger came to the hearings, or he had to testify. That’s when poor Esther was caught. Smith: The lead up to his nomination as Vice President, there must have been sort of speculation in the office. Smith: Agnew was in trouble. Holkeboer: Yes, but we didn’t think he [Mr. Nixon] would choose Mr. Ford because he needed Mr. Ford in the House. He needed him there for the Republicans. So we thought it would be Rumsfeld, and we thought – Rumsfeld, I think at that time was in England or something or abroad – and we were quite shocked that night. At least I was, when it was announced about nine o’clock at night. Smith: You found out from TV? Holkeboer: Yes, we found out from TV. I think it was about as as it could be. So the next morning I come to work and it’s full of security people and I thought, oh what’s happening? This was all so new to us. Smith: The next day he went to the Red Flannel Parade in Cedar Springs. Holkeboer: That’s right. He said I promised and I do that every year and I’m going to do that again. So he did. I don’t know what happened there, but he insisted that even though he was Vice President, he was going to the Red Flannel Parade. I don’t know what happened at the parade. Smith: How did things change? Holkeboer: Well, we had to move. Smith: I assume he didn’t change. So then I was transferred to the Executive Office Building. A beautiful building. Just George and I were there, and we had one big room with lots of windows. We had a fireplace and we had another room where we could put our equipment. It was wonderful. We enjoyed that room. But we had to keep our door closed. We could not keep it open. I like open doors, I don’t like closed doors. We could not look out the window because then the security people would think I was going to shoot somebody, I guess. I went to a lot of these, what do you call them, official welcomings on the grounds. I could not watch them from my window – they wouldn’t allow it. So then I just went over there. But that was security already, before we had this shooting – he was shot at twice. Smith: Let me back up to the transition in August – we’re observing the anniversary today. Smith: Today is the anniversary of the Nixon resignation. Holkeboer: Is it really? How many years? Holkeboer: You expect me to remember that? Smith: Your life, obviously, was transformed along with a lot of other folks. When did you begin to think that you might be working for the President? Smith: But in between, remember, the tapes came out, and my sense is that Ford was really shocked by the language. Was that your sense? Holkeboer: Yes, oh yes. That’s true. Yes. I heard that Nixon did have a vocabulary. I think that’s not something Mr. Ford did – his words were never like that. Yes, I think, all of a sudden, we began to realize that this was not true. Right after that I started reading every book I could about it, because I had ignored the newspapers. I thought, they’re not right, they’re just after him. I’m not reading that stuff. Boy, after that I think I read every book I could about Nixon and what he was doing. Smith: And at the end, when it crumbled, and when the so-called “smoking gun” tapes, were released, it became pretty clear that Nixon was going to resign – did he ever come in and say, “We may be moving”? Holkeboer: No, he never said a word. I think he kept that for his wife, or maybe the AA, but he never came to the staff and said, “We may be moving.” I think all of us on the staff were quite tense about it. What’s going to happen now? Are we really going to be working for the President? No, no, no, we’re not going to be. We just really didn’t believe it. I think it was kind of unbelievable. Then when he resigned, I think all of us were quite shocked. But that’s thirty years ago. Smith: The day after Nixon resigned, Ford was sworn into office. Were you at that? Holkeboer: Yes, yes I was. Smith: What do you remember then? Holkeboer: I think that all of this was kind of overwhelming. His kids sat in the front row and a lot of people sat around, and I thought it was kind of unbelievable. It was like watching a movie or reading a book. Is this really happening? I’ve got pictures – I’ve got pictures of the back of my head that I was there. But I don’t think we realized what we were getting into. At least I didn’t. Is this really true? Smith: Tell us about Bob Hartmann. Holkeboer: You shouldn’t ask me that. Smith: Well, he is a somewhat controversial figure. Holkeboer: ‘Cause I never liked him. So I don’t want to talk about him. Holkeboer: I think the original Ford staff weren’t too happy with him. Then he had his own little group of people. So, you see, there was a kind of conflict. There was us and Bob’s. Smith: When did he come into the picture? Smith: He was there before the Vice Presidency? Holkeboer: Yes, he came right after Mr. Ford was Minority Leader. He came in with Minority Leader because we all said, who is that? And we found out who is that. He seemed to take over. Smith: He was a speech writer who wanted to be more than a speech writer? Smith: We know from history that he had a lot of talents, but he was a divisive influence. Holkeboer: Yes, yes he was. You have an interview with him, or is he dead? Smith: I interviewed him for another project. Apparently he liked to drink. Holkeboer: Yes, see I don’t know that part. I don’t know his personal life at all. I do not know – that might have come afterward, too. I don’t know. Smith: A much, much tougher day must have been grafting the Ford staff, a lot of whom were from Grand Rapids, onto a White House staff that were all Nixon people. Smith: What was it like? Holkeboer: That was a conflict because Mr. Ford said we had to try to get along. They weren’t excited about getting along because they wanted to say, that’s not the way we do it, this is the way we do it. And they wanted to do it the Nixon way. We knew Ford’s way and they were entirely different. But they wouldn’t let us. Smith: How were they different? Holkeboer: I think they still believed in Mr. Nixon and I think they wanted it to continue and they were going to continue it. His ideas, his ways. But one by one they started getting other jobs elsewhere. One by one. In some rooms like the mail room, it doesn’t matter who you’re for or against, because you open mail all day. But one by one I think they started to leave, but we did have a conflict. It was his ways or our ways, or Mr. Ford’s ways or Mr. Nixon’s ways. Smith: How about Al Haig? Holkeboer: I never met him. The only thing I know about him is what I read in the paper. But I never met him. Smith: Were you surprised by the pardon – the Nixon pardon? Holkeboer: Yes and no. I knew that he wanted to get rid of the whole thing. Let’s not discuss it anymore, it’s over with, get it out of the way. But people didn’t want that. People wanted it to continue and I think the pardon was on a Sunday, September 8th. I think he knew he had to do something. Otherwise it is going to continue and he couldn’t get anything done if that continued. So, I think it was more or less one or two that agreed with him and he did it. He said, I may lose the election, but I’ve got to do this. And so, yes, I was shocked. I didn’t know about it. I was shocked. Smith: Were you surprised by the ferocity of the public’s response? The intensity? Holkeboer: Yes, because it lasted through election – he didn’t get re-elected. Yes, I think that’s one reason he didn’t get re-elected. Because who ever heard of Carter – what did he do? I think the people were mad at Mr. Ford. They really wanted to, what shall I say, get even with Nixon. And once that was over with, it went away – as far as work and business was concerned. People’s thoughts were still there, but as far as business, Mr. Ford could get back to work. Otherwise he just had a hard time getting things done, because it was all Nixon. So, the two years that he was there, he did a good job. I’m sorry that he didn’t do four more, but then again I’m not – who wants to be President? Who wants to be President? Smith: Then, of course, just three weeks after the pardon came the news about Mrs. Ford’s breast cancer. Smith: It must have come as a shock. Holkeboer: Yes that was a shock, too. She had a friend, no, not a friend, but somebody who came every day, talked to her, helped her, etc. – I don’t know the lady’s name – I can’t think of it, anyway. She was going to have a test; every year she does this. She says, “Come on, Betty, go with me.” This is how we heard it. And Betty went and found out that she did have spots. But, again, I saw Mr. Ford. He was so kind and thoughtful and he just sat at her side. Well, during that time it was her first. That was sad – it hit us all kind of sad. But, look at her, she’s living now and she’s how old? Smith: One senses then people didn’t talk about breast cancer. Holkeboer: No, oh no. But she came right out and said so. She told people about it and they were all kind of shocked, but it was the best thing. She did a lot of little things like that. She was quite open. Smith: Sometimes her candor got her in trouble. Holkeboer: I think so. Sometimes I think Mr. Ford wished that she wouldn’t talk so much. But she was honest. She said what she thought. Smith: Remember, there was the famous Sixty Minutes interview, when she talked about Susan having an affair, and her kids smoking marijuana, and her pro-choice views. Holkeboer: Oh my, folks were so upset about that. Smith: What was the response? You must have been dealing with mail. Holkeboer: I think we all said, “Don’t those people understand? Didn’t they listen? Didn’t they hear?” We blamed the people. But that blew over, too. Smith: Eventually, her candor became a very appealing part. Holkeboer: Yes, people liked it. She was quite outspoken. Poor dear, now I feel sorry for her. Smith: Do you know anything about any of her problems while she was First Lady? Holkeboer: No, we knew she was taking something – I can’t remember what her ailment was – was it her back? Back problems? Smith: She had back problems. She had some arthritis. Holkeboer: She had to take pills for that. Now I don’t know what kind of pills they were. But, maybe they led to it. I do think she got kind of lonely when she was in her house with the four children and he was gone all the time. And maybe she thought, “I’ll have a drink.” I don’t know, but she kiddingly said, “Yes, he was never home before, when the kids were growing up and now he’s home all the time.” That’s when he was President, because they would have dinner together and maybe – not breakfast because she slept in – but dinner. “Now he’s home all the time,” she said. So she had to get used to that. Smith: Did he sign his own mail? Holkeboer: Oh, yes, but when he became President, yes, then we had a machine. But before that he didn’t have a machine. When he was to and from his office in his limousine, he would sign it and read them. Sometimes we’d get one back. Smith: Sometimes you must have got nasty letters, or at least some unfriendly ones. Smith: Did he read those, too? Holkeboer: He would want them, too. He would write a nice letter back. Sorry you are disappointed, but this is what I thought, and I hope that you change your mind and agree with me – and that sort of thing. Then we never heard from them again. Smith: Did you sense that Mrs. Ford was enjoying her life in the White House? Holkeboer: Well, I really don’t know because I was in the Executive Office Building and she lived on the second floor of the White House. I think she loved it that somebody else took care of clothes for her – and made her meals. I think she loved that part. Smith: Did they enjoy entertaining? Holkeboer: I think so. They did a lot of it in the White House. I don’t know how much they did at home. It was all their old friends. Smith: But particularly with the bicentennial – there were a lot of State dinners and formal functions like that. Remember when Queen Elizabeth came? Holkeboer: Yes, I have a picture of Mr. Ford and Queen Elizabeth. That was exciting, too. The only part I saw of it is, they had a big tent in the back yard and the dinner was outside, so I, nosey I, had to see what it was all about, and I went down there and the tables looked just beautiful – oh, they were decorated just beautiful. Loads of tables with tablecloths and decorations – oh they were beautiful. I have some pictures of it [taken by the photographer]. Smith: Do you remember any other state visitors, or visitors that made a real impression? Jack, of course, had a couple of Beatles. Holkeboer: Yes, see that wouldn’t interest me. I’m not a Beatle fan. Smith: What about the kids? Holkeboer: I think the boys were very annoyed with the security that they had. And I think that Susan was just at the age that she loved it. She had her Senior Prom in the White House. She loved it. I think she loved all this, I think she loved it because ever since she was a little girl she was included in a lot of the dinners. So she got to know a lot of these men, women, and I think she loved it. I think the boys were annoyed because – and I think that’s why Jack went away. Mike was already in North Carolina, and I don’t know what kind of security he had, but I don’t think it really fazed him. But Steve and Jack didn’t like it, so they both went to California at that time. I think they got used to it, but didn’t like it. But now my question is, do they still have security after – up to a certain age is it? Up to eighteen, isn’t it? Smith: Now they have it up to a certain age, but they did not. Holkeboer: Now Carter had a daughter, she isn’t eighteen yet is she? Smith: Oh, yes, she is considerably older, they are all older. She was little then. Holkeboer: Oh, I just wondered who was President and still having security. Smith: When he was President you were in the Executive Office Building. How frequently would you see him? Holkeboer: Not very often. The security was too tight. If I wanted to see him at that time, I would have to talk to my boss, who was Mildred Leonard, and then Mildred Leonard would go to him with all her things that she had, and then mention what I also needed. Smith: Now, what was Mildred Leonard’s background? She had worked for him? Holkeboer: She worked for Halleck, was it Halleck? No, when he became a Congressman, then Mildred had worked for Jonkman. Yes, Bartel Jonkman, his predecessor. And I think Mr. Ford said, you stay, you help me because I need you. She was a good secretary – excellent. Smith: What was she like? Holkeboer: I thought she was very nice, but very businesslike. But very nice, we did a few things together. She was older than I was, but we had this in common – that we worked for Mr. Ford, so we went to things together. She knew everything about Mr. Ford – where he was and what he was doing. A good secretary. Smith: What kinds of things would you need to see her about, or see him about? Holkeboer: You know, I can’t remember. I don’t know. Smith: What kind of things were you doing over at EOB? Holkeboer: Well, they told us we were on his personal staff, so we got a lot of letters that said, “Dear Jerry.” It got to the point that everybody in the United States was addressing him as “Dear Jerry.” We had to really pick out his friends, or the people that we could help, and then the others went to other places to be answered. But, it got to the point where everybody said “Dear Jerry.” They knew him as Jerry Ford. Smith: Then the re-election campaign – obviously there was a Reagan challenge which was very tough. Holkeboer: That was the first one. That was before – then Reagan became President. I don’t that Mr. Ford ever had his mind set on being a president. I don’t think so. Smith: What makes you say that? Holkeboer: Because he wanted to be Speaker, He wanted to be Speaker of the House – he had that in his mind. The Presidency was way over there as far as he was concerned. And he loved legislation. He loved that. He loved the bills, he loved to be on the floor. He loved his work. No, he didn’t want to be president. But he wanted to be Speaker. But he didn’t get to be Speaker. Smith: He didn’t hesitate to veto bills. Holkeboer: When he was President – no. That, again, was a different field than I was into, so I don’t know. But I think he always thought he had to do the right thing for the people. His two years in the presidency were not easy. But I think he did a wonderful job. Smith: Do you remember the days around the fall of Saigon, the end of the Vietnam war? Holkeboer: That was very disappointing. No, I think that was a big disappointment to him. That’s about all I can say. To a lot of people, too, but he had really planned on that, and really thought that this was the right thing. And then he got the little children here on the plane. I think they have steps or something right here in the museum. I think that whole thing was very – well, first disturbing, and disappointing to him – but it worked out okay. Holkeboer: But before that time, see, he wasn’t really running for the presidency. This is something that all of a sudden came up. Reagan was a wonderful speaker. Mr. Ford could be if he practiced a long time, but he wasn’t always the best speaker, and when you have to speak at every little town – Reagan really had the gift. I think he was disappointed, like everybody else was disappointed when you lose something. But he still had a job. Smith: Did you see any of Henry Kissinger around? Holkeboer: No, I never saw him. I know where his office was in the White House, but I never saw him. Smith: What about other members of the Cabinet? Were there any who stood out? Holkeboer: I very seldom saw them. I saw the Cabinet Room, could tell where everybody sat, but I never saw the full Cabinet. Smith: How about the Vice President, Nelson Rockefeller? Holkeboer: Yes, I saw him. He was in our building. He also had an office in our building. I think on the second floor and I was on the fourth. Of course, when the elevator door opens, here he is, waiting for the elevator. All of us are waiting for the elevator, but we back up, because he goes first. And only him, goes into the elevator alone. So he went into the elevator and he says, “Come on girls, come on girls.” He got us all into that elevator, and I thought that was so nice, because we weren’t supposed to. And I always liked him for that. Smith: He was very approachable? Holkeboer: Yes, he was. If he saw you, he’d say, “Hello.” I kind of liked him. But it didn’t work out. Smith: In the fall election, did you remember election night? Remember Ford had closed the gap, most of the gap with Carter, coming out of the conventions, and right at the end, no one really knew what was going to happen. Holkeboer: No, no, all of us just kind of trembled. This is close, what is going to happen. Something is going to happen. That Carter won was a surprise and a shock, but yet we knew that the race was always so close. Smith: What was the mood in the White House the next day? Holkeboer: We were all very quiet. We had to move out! And we were very quiet, I don’t think anybody said anything to anybody. Smith: Do you remember where you were election on night? Holkeboer: I was home. I stayed home. Smith: Were your fingers crossed? Holkeboer: I thought if there was a disappointment, I want to cry alone. One time I went to the Capitol Hill Club for an election, or something, and it was so close I said, “I can’t stand it. I’ve got to go home and see this by myself. I can’t see it with all these crazy people talking and trying to decide who is going to win. I don’t like that – I’m going to go home.” So every election night, I’d just stay home. I just didn’t like all that fuss of the other people. Smith: Do you remember the first time you saw him after the election? Did he take a little time to bounce back? Holkeboer: Mr. Ford, no. But I saw him. He couldn’t talk anymore, so Mrs. Ford conceded for him. And I thought that was the saddest picture I ever saw. And all the kids around him and he couldn’t talk because he had laryngitis. Oh that was sad, I thought. That was a sad part, too. But, in the long run I think maybe it was for the best. But I don’t know what kind of a president Carter really was. Smith: It is interesting, he made it very clear, that despite his own feelings, that there was going to be a better transition than he had experienced. Holkeboer: Yes, oh yes. That would be Mr. Ford. And he would be very friendly and very cordial. Some of them aren’t – the outgoing and the ingoing aren’t very friendly. But that’s the kind of person he was. See, he really didn’t hold a grudge. He just thought, I’ve lost. Smith: What were your plans at that point? Were they just up in the air? Holkeboer: Yes, I had to find a job. I went from door to door because we had the names of all the new congressmen coming in, and I wanted to go back to the House of Representatives, I liked it there. So, I went to all the new congressmen and I left my resume, and they said, thank you, you’ll maybe hear from us. I think the thing that kind of took them was that I worked for the President. So it was kind of hard to find a job after working for the President. But I got a real good job with Jim Leach, and I want to tell you the way I got it. When we were with Mr. Ford, there was somebody in Iowa who wrote him almost every day, because this person knew how to handle everything and he could take care of the whole world, if only Mr. Ford would read his letters. He knew everything. And then he would call us sometimes. He would talk for a long time because he knew how to handle everything. Smith: How do you handle people like that? Holkeboer: Very nicely. Okay, fine, sure, we’ll tell Mr. Ford all about this. And we’re glad you called, and if you want to call again, we’re right here for you. Sometimes you write down all they say, but with him we knew – so he had said to somebody, it was Dotty, any of you girls need jobs, I’ll find you jobs. Now how is a person in Iowa going to find a job for people in [Washington]? Dotty said she was going to work for the transition people and Mildred was going to retire, so that left me. Okay, I’ll send you the resume of one of the girls who works here. So, he got my resume. Then he went to Jim Leach of Iowa, who had just won the election and he said to him, here’s a resume of a girl and you have to hire her. So, I got the job. Smith: I bet they were glad you were nice to him. Holkeboer: Yes, but then he wrote Mr. Leach letters forever and ever. We had a whole file full from this man who wrote all the time. So then one time this man had his birthday, and Mr. Leach was going to his birthday party. This was in Iowa. And I saw that on the schedule, and I said, “Oh Mr. Leach, would you thank that man for getting me my job?” and he said, “How is that?” He had forgotten all about it. So Mr. Leach had to make his speech and the first thing he said is, “The only good thing so and so did was get me my secretary.” So it got to be kind of a joke, but isn’t that an unusual way to get a job? Smith: It’s a very unusual way to get a job. I was an intern in the Ford White House. The summer of ’75 and I worked in the personnel office, which meant, of course, going through all of the deservedly dead letters and deciding what goes to the central file. But at the same time, dealing with people who would say, meet me as such and such a place Thursday at five o’clock and we’ll discuss my interest in being Secretary of the Interior, or words to that effect. And I wasn’t as nice to them as you were. Holkeboer: I always remembered when I was interviewing, “Even if you’ve got a headache, you’ve got to be nice.” So, yes, yes, so and so, yes, sure, we’ll tell him and we wrote it all down. But after a while we didn’t write anymore because we got letters from him and that told everything. Smith: Did you have any contact with him after the White House years? Holkeboer: No, but I got a Christmas card every year. But, no, no contact at all. No he passed away just before – I did not get a Christmas card last year. And I won’t anymore, I don’t think, because I don’t know if she even sends out her cards anymore. I don’t know. But I always wrote a little note in there, so that whoever opened the mail would think, hey, this is personal, we’ve got to show him. If he saw it or not, I don’t know. But I was on their mailing list, so I got a Christmas card. That’s the only time. Smith: Were you surprised by the reaction at the time of the funeral? Holkeboer: Yes, yes I thought it was overwhelming. I stayed home because I can’t stand very well, so I stayed home and I watched everything. I think I watched all day long. First Washington – and then here – I just thought they did a wonderful job, a wonderful job. Whoever did it, did a wonderful job. Smith: If you were to tell people something about him, that they may not know – something about Jerry Ford that might surprise people? Holkeboer: I don’t know what I’d say. Smith: Or a generation that didn’t know him? What’s important that they know about him? Holkeboer: Well, I don’t know. Just like here, once you get me talking, I can’t quit. I haven’t talked about Mr. Ford for years. I don’t know if people aren’t interested or – what do I say? People say, “Was he a nice man?” Sure, he was a nice man. We all know that. They say, “Was he as nice as everybody says?” Yes, he was. This sort of thing. But what I would just say, “This is what I want you to know about Mr. Ford…” I don’t know what I would say. I would really have to think about that. Smith: Were they fun years? Holkeboer: Yes, looking back it was fun years. But you have to remember, it’s work. We worked, too. So I don’t want people to think that we were just partying all the time or whatever. It was work. And we worked eight-ten hours a day. Then you go home exhausted and go back the next day. It was work, but looking back now, it was wonderful. I can’t believe that I really worked for Mr. Ford. I can’t believe that – the President of the United States, I can’t believe that. But while you’re there, it’s work. Smith: It’s less glamorous than people on the outside think. Holkeboer: Yes, people think it’s glamorous. I don’t know what they think, but we worked. But anyway, it was wonderful years. I had a good life, and I don’t know how I deserved it, but I did get it. Smith: Can you think of anything else? Smith: I’m curious, he said even if you have a headache, you have to be nice. But did he ever get upset? Holkeboer: One time. And it was one of his boys, I don’t know what his boy did, and he heard about it. I don’t know what he did. I don’t know if he took the car or if he did something at school, but he was mad. And I think it was the second boy, Jack. Mike was such a good kid, and Jack was a little fire ball. And Steve, well you didn’t notice it, but Jack – he did something and Mr. Ford heard about it and boy did he slam the door. That’s all I know about it. I don’t know how he calmed down, but he slammed that office door and all of us – I remember that. Those kids were teenagers by then, because when I started they were six, eight, ten years old, twelve years old, something like that. All of a sudden they are teenagers. Smith: Was Susan sort of the favorite, I don’t mean favorite, but the youngest and the only daughter. Smith: Kind of a special status. Holkeboer: I think so, but they loved their boys, too. I mean it wasn’t that – but here, they finally got a girl. I think she was home longer than they were, because as soon as they got out of high school, they went on to college in other places and she stayed home and went to all their dinners, their parties with them. So she learned, what shall we say, etiquette quite soon and she loved it. She loved the attention. Smith: There is an extraordinary photo when Mrs. Ford was, of course, in the hospital. Susan, who was sixteen at the time, stood in for her mother at a State dinner. Smith: With long gloves and flowing gown. Holkeboer: And she knew how because she had been to so many. Not State dinners, but dinners of – and I think because she stayed home longer than the boys, she was such a part of the family that they took her all over. I think she loved it. Smith: She’s actually in a photo with Chairman Mao. She went with them when they went to China and I think Chairman Mao was paying her more attention than he was the President. Holkeboer: She was a pretty young girl. And she knew how to handle all that, too, because they took her along all over. Smith: Do you think she was mature for her age? Holkeboer: Yes, I really do. I think she was very mature for her age. Smith: You mentioned the time that President Johnson called when Mr. Ford was in Congress. Did other Congressmen call regularly, were you picking up the phone and having Senator Dirksen, or someone like that on the line? Holkeboer: To talk to Mr. Ford? Yes. And a lot of the times Mr. Ford wouldn’t be there and we’d have to take their name and number, and then he would call them back. But yes, a lot of Congressmen would call. Smith: Did you have certain favorites that you heard from and others who just weren’t as polite on the phone? Holkeboer: When you came down to it, they were just names. Important names of people that he knew, so we would – Senator Dirksen was about the only one who called from the Senate side. About the only one. Smith: Did you ever see Congressman Ford and Nixon together? Holkeboer: No. Except TV or pictures. Once he became Vice President – President, he had lot of security and we just didn’t see him as much. The best years were really Minority Leader, or when he was Congressman, because then we were a big family. But once he became President, all these important men were around him all the time. Then the security people – no you couldn’t get at him. Smith: How do you think Mildred handled that transition? Holkeboer: Not too well. Because she was getting older, and I think she felt she was being forgotten. Bob Hartmann took over, so it was difficult. Smith: When did Dorothy come into the picture? Holkeboer: Downton. She came in as a young girl right out of business school, I think. And she signed up to go to FBI. She was going to work for the FBI – that was a big thing – she wanted to go to the FBI. She signed up to work for them and they called her that they had a job for her. She came in our office with her dad, I think – something like that. Then I guess Frank Meyer was impressed with her because a couple months later he called her and said we have a job for you. And she said, “No I can’t take it, because I promised FBI I would be here for a year.” So he said, okay, we’ll wait, and we’ll see what happens and then we’ll call you again. And so she came to us after a year at the FBI. She was his secretary and Frank Meyer dictated to her, because we were getting so much mail. He dictated to her and to Ruth Kilmer. Smith: This is still on Capitol Hill? Holkeboer: This is on Capitol Hill. And then Frank Meyer died and Mildred became the administrative assistant and Dorothy became the secretary. That’s how she got into seeing Mr. Ford, and then when he got to the White House, she was still his secretary. Then Mildred was kind of pushed aside, maybe by Bob Hartmann, I don’t know. I don’t think she was too happy. But she retired. Holkeboer: Well, if Frank hadn’t died – but see, Mildred was the administrative assistant and then when Mr. Ford became President, Bob Hartmann kind of made himself whatever, Chief of Staff or something, I don’t know. So I don’t think she was too happy. I think that she wanted Dorothy’s job and Dorothy got it. A continuation of what she was doing, so it was to be expected. Smith: Were you aware at all of a – conflict may be too strong a word, of a rivalry between Rumsfeld, and then later Cheney? And Hartmann? Smith: Yeah. This has been great. Thank you.